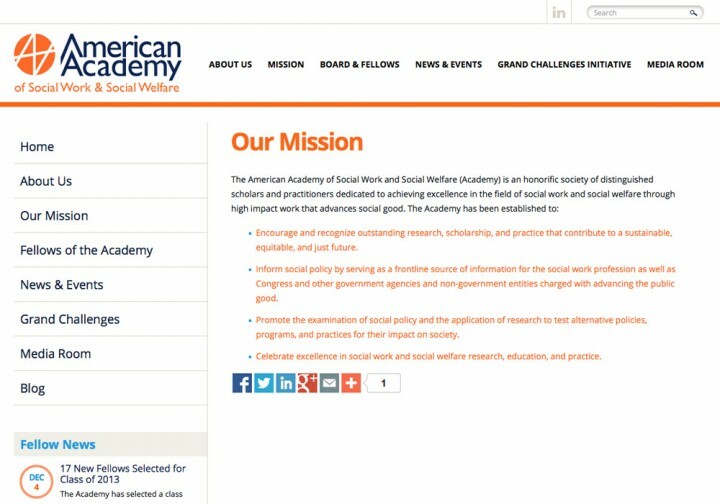 American Academy of Social Work and Social Welfare - Wood Street, Inc. 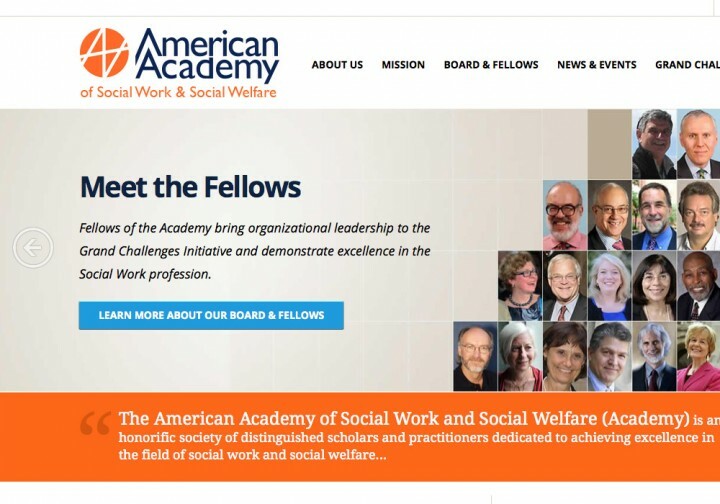 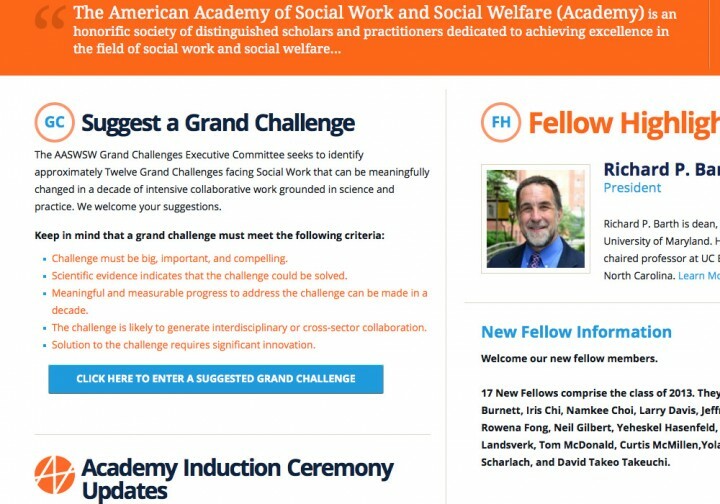 The American Academy of Social Work and Social Welfare (AASWSW) is doing some very important work in the Social Work and Welfare field. 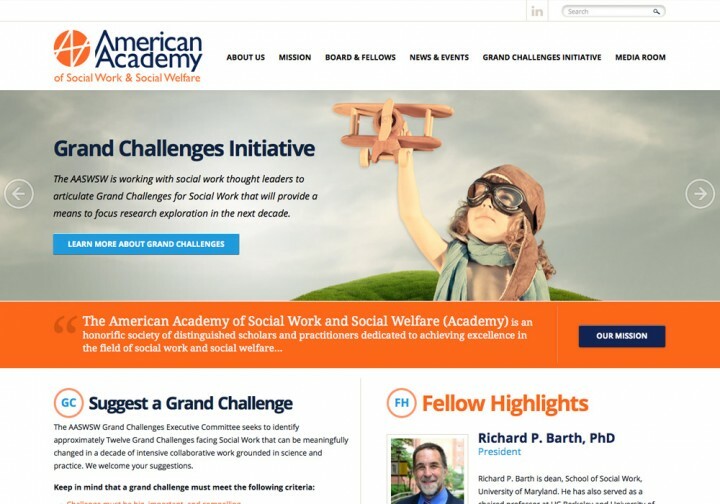 They needed a web presence that opened up discussion and collaboration. 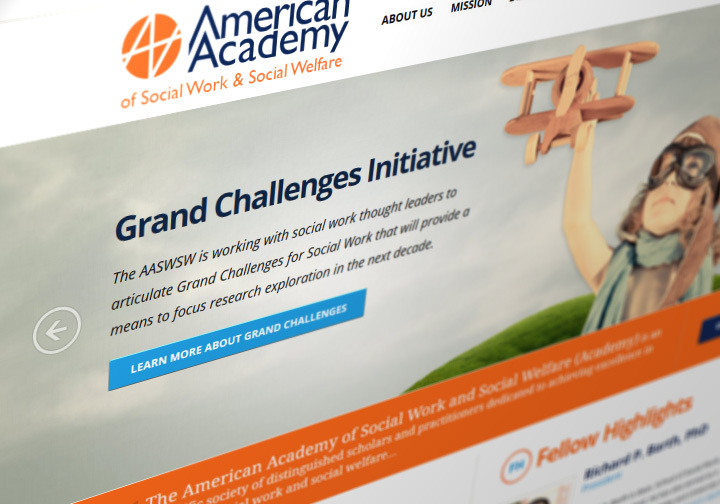 Working with the marketing and communications group at AASWSW, Wood Street developed a custom WordPress website. 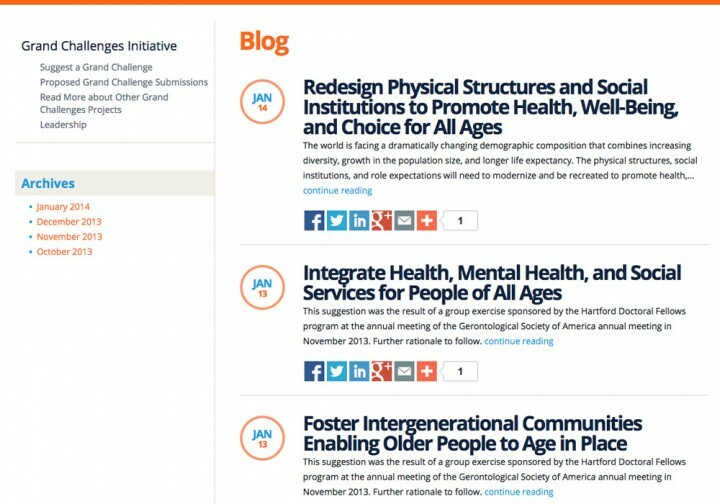 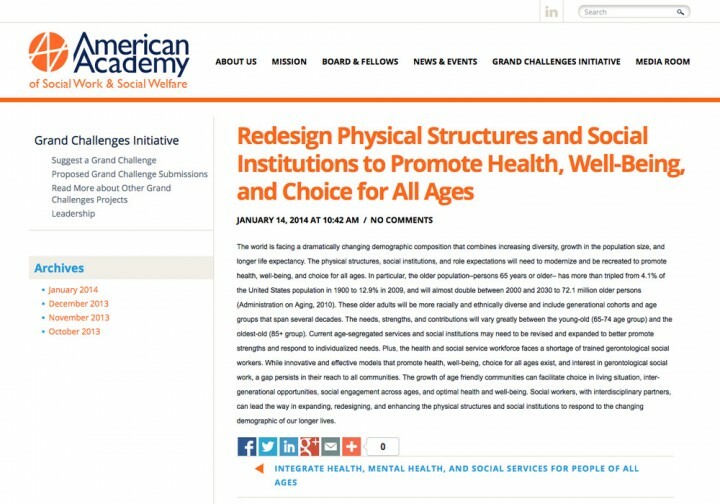 With this new website, participants in the Grand Challenges Initiative could actively share their submissions and discuss how to bring theses to life.